Hello, Good Morning to all of you, Hope Yesterday was good day for all of you. There was some crazy movement yesterday and more important there was some good movement, which a intra-day trader like me need. Initially, as per my analysis yesterday, I had a sell @1.2907 and was targeting 1.2830 level, but unfortunately it didn't reached and started to reverse sharply right after MPC news release, because of which I closed my that sell position @1.2976. And, considering the sharp reversal, I was looking for a buy signal and I got a buy signal on M30 timeframe, of which I was pretty confident, because of which took 3 different positions, as I thought, this might be the ultimate reversal and this thing can move 200+ pips and plus it was my kind of my perfect swing reversal trade and I was lucky this time, my 2 trades TP got hit, in just no time, without any retracement, so managing them wasn't a big task, like earlier. And, I had a 3 trade running and was planning to keep it running as I thought this move would be big, but then later analysis the pair on higher timeframes, I realised that this bullish move was just a fluke and nothing more and this thing didn't have enough fuel to rise further and was stalling, because of which I reduced it's TP to @1.2991 from earlier +200 pips TP, that TP too got hit, yesterday was a good, a bit lucky & a big day for me. Regarding GBPUSD now, I think this will again continue to move downward and test are predicted 1.2830 level soon, as the bullish movement which we saw yesterday and this H4 bullish candle formed is a fake one, though at the same time be aware that GBPUSD can spike up into bullish zone once level 1.2830 has been tested and this when it reverses it will be a big 200+ pips reversal. That's my view on GBPUSD as of now. Yesterday, I actually was just looking at those GBPUSD movements yesterday without trading it. I really congratulate on the success. Early today I expect GBPUSD to move down a bit, but am not expecting it to be too bearish. I think usd will be a bit weak during the day for some consolidation. So we need to be extremely careful. Have a nice day brother. Oh very sharp and good work mate. That’s really nice that you sense the sharpness of market and changed your mind from sell to buy. With that sharp bull I thought it would go more up but it didn’t and thanks that I didn’t enter into buy trade. 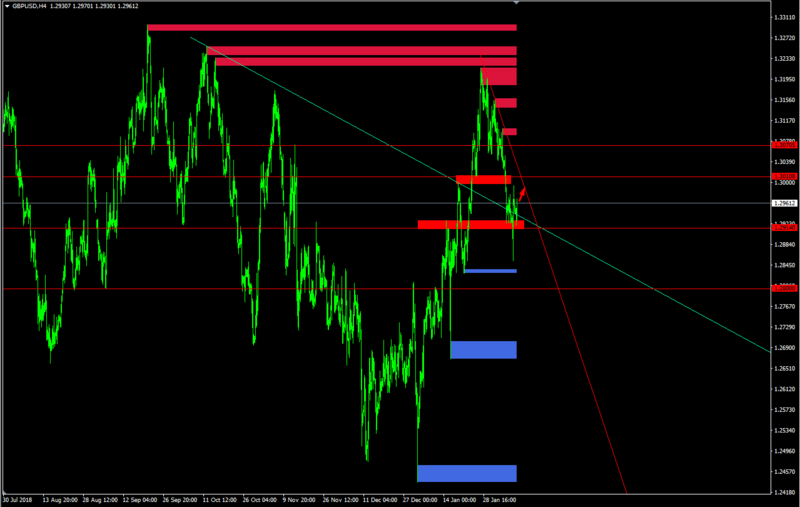 Today for the whole day it looks bearish I think yes it will go down till 1.28200 area. Wish you all the best. The following 11 users say Thank You to fragile for this useful post. The following 8 users say Thank You to matrixino for this useful post. Goodness extremely sharp and great coworker. That is extremely decent that you sense the sharpness of market and altered your opinion from pitch to purchase. With that sharp bull I figured it would go more up yet it didn't and thanks that I didn't go into purchase exchange. Today for the entire day it looks bearish I figure yes it will go down till 1.2800 zone. Want you to enjoy all that life has to offer. The following 8 users say Thank You to mexima11 for this useful post. The following 6 users say Thank You to arda for this useful post. Hello mate you are today british pound analysis is verygood and true but this pair today move in upside I don't know why this pair move in upside today trend is strong bearish but why dear so its ok mate hope very soon move back this pair and expect tha once touch in 1.2700 level so next week expect this pair will create a bearish trend I saviour lets see. The following 3 users say Thank You to Jahanzaib420 for this useful post. Hi! Good Morning to all of you, Hope you all are well and doing great. Yesterday, I triggered a vol 5.00 BUY ENTRY on GBPUSD @1.3108 with 60 pips SL & 70 pips TP. But, the pair wasn't reaching the upper channel that I had on my chart it rejected from 1.3155 area and then came back down, this is when I shortened my TP to 1.3154 i.e 46 pips and hopefully it got it. 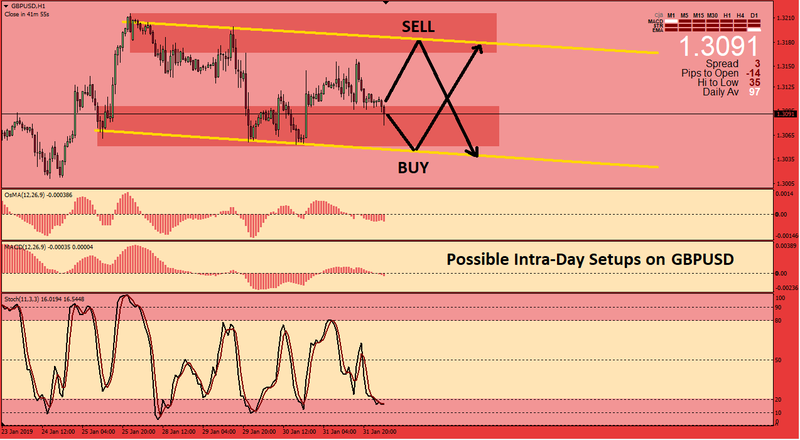 Now Regarding, GBPUSD, nothing has changed, it's been ranging in the same channel and I would be having the plan for Intra-Day Trading i.e Buy at the lower channel and Sell at upper channel. I will restrain from buying at lower channel and selling at upper channel, only when I see some triangle breakout pattern formation within the channel, which would most likely try to break out of this present channel. Till then buy at lower channel and selling at upper channel is ideal. I hope you all have a great trading day ahead, trade safely and wisely. Supported by the negative pressure formed by the SMA 50, while noting the importance of stability below 1.1443 for the continuation of the expected decline, which requires stability to remain below 1.1443. Hello, Good Morning to all of you, Hope you all had a good weekend. Now, Coming back to GBPUSD, It's look like it's moving in a triangle and this triangle is way bigger than normal breakout triangle that we generally have and this triangle looks like a breakout triangle on some higher timeframe. 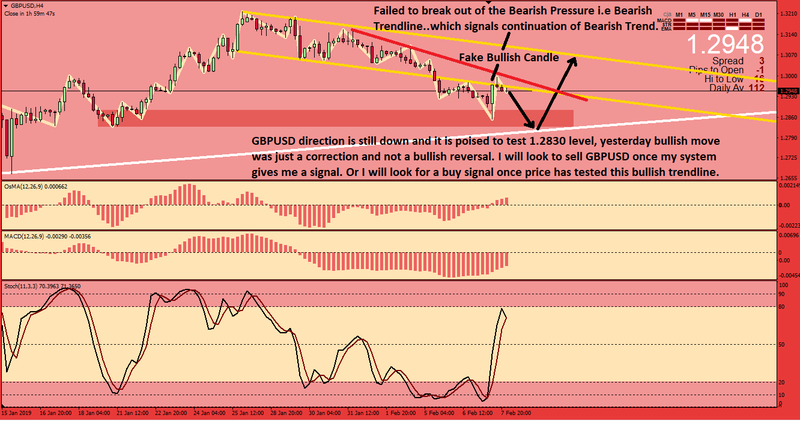 So, in the following chart are my views, about how GBPUSD might play out in this week or two. First it's all poised to fall down and again test the 1.2850 level and after testing this level it will try to breakout of the triangle to the upside and this time this breakout would possibly a bigger breakout. So, the day's ahead looks very interesting and has some good opportunities and we can expect some good moves in coming days/week. Though, I will look for some intra-day trades too based on this analysis, once the day progresses and we get more price action. That's it for now, I hope you all have a good trading week. The following 33 users say Thank You to MartyFish for this useful post. The following 9 users say Thank You to fadilah for this useful post. 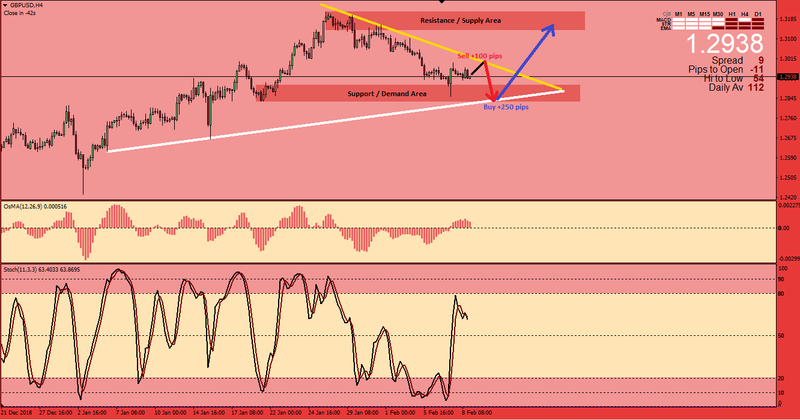 Dear your analysis at gbpusd is good, dear if we look at current scenario of gbpusd price and look at chart then i am looking intraday a good bearish movement and you are right in upcoming days we see a good bullish break out and that will be a good bullish move. The following 4 users say Thank You to cfd2forex for this useful post.